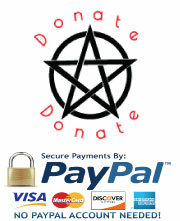 Further to ongoing requests from regular visitors to Truly Teach Me Tarot, I have added a Donate Button which is linked directly to PayPal. I am registered for Income Tax in Ireland and any monies received will be accounted for. Those who wish to show appreciation for; my work to date, the time and energy involved in creating every piece of content, help or assistance with card readings, or would generally like to support ongoing development and expansion, can now make a much appreciated contribution. This is a big step for me to take as one of my own challenges in life revolves around striking the correct balance between giving and receiving. I am more comfortable when giving! Please note that I am the sole author of written content on Truly Teach Me Tarot. I can only take credit for the written content, and not for the Images of The Rider-Waite-Smith Deck. 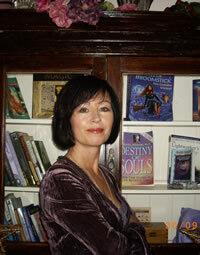 Truly Teach Me Tarot has grown to an enormous size and there is an equal amount of content still to follow. I am aware that not everyone has the internet capacity to stay online to read such a vast amount of content. Many of you have requested to purchase PDF downloads or Kindle versions as an alternative to reading onsite. I will be arranging this in the near future and will release content as soon as it has been properly formatted. It is my written work only that will be available for download. It may not be possible to include images other than the original black and white versions from The Pictorial Key to The Tarot. However, most viewers have their own deck of Rider-Waite-Smith cards to work with. The Free Version Online will stay for those who wish to avail of it, and there will be no compulsion on anyone to either Donate or Purchase Downloads. Please understand that it is my intention to keep Truly Teach Me Tarot as freely accessible to as many people as possible. At present, this site attracts tarot students, readers and enthusiasts from over 200 countries on a daily basis. I am not sure how everyone is managing with the translation of my content into non-English languages, but it appears to be working! I know from the world-wide emails that are sent to me, many of you have been using the in-depth content on Truly Teach Me Tarot not only to develop your understanding of Tarot, but also as a means to becoming Professional Readers. I am truly humbled by the heartfelt messages of appreciation I receive and wish everyone the best in their endeavours.